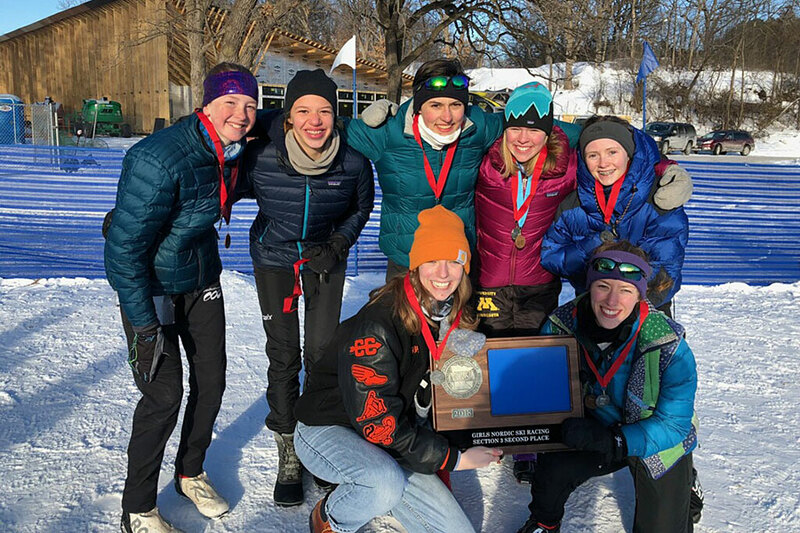 Skiers from left to right (top) Erika Peterson 8, Eliana Storkamp 9, Izzy Bergman 10, Ella Hock Robinson 8, Josie Ferguson 10, Izzy Willette 12 and Anna Mulhern 12 made it to state as a team. 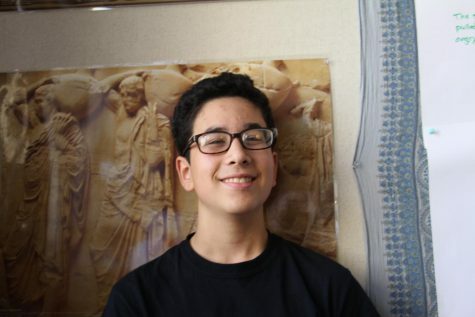 Photo courtesy; Izzy Willette. For the first time in many years the Women’s Nordic Team made it state in Nordic Skiing. While many years they have gotten close, this year “they had four strong skiers coming into sections, while most years we have only three,” said head coach Kevin Johnson. 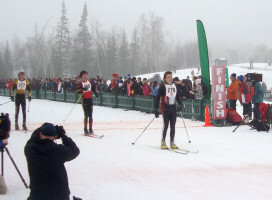 This, combined with good racing conditions, allowed for the South women to make it to the State race, which occurs in Northeastern Minnesota at Giants Ridge in Biwabik, Minnesota. The sections race happened at Theodore Wirth Park on February 6. Two races ensued that day. In the morning there was a 5k classic ski race, which is the style most closely associated with Nordic Skiing. Then later that day there was a 5k skate race, which resembles ice skating on snow. The skier’s starting place in the skate race was determined by their finishing position in the classic race. This mixing of styles allows for skier’s with different strengths to still shine through. “I’m better at classic so I tried to get ahead there and keep my spot for skate, but I was really tired with two races,” said sophomore Josie Ferguson. The conditions for the race were very good this year. While in years past the snow conditions have been deteriorated by high temperatures, this year the snow was plentiful and not icy or too soft. This meant preparing skis for the race was not extremely difficult. “The wax conditions were relatively easy with the low temps and the snow was pretty fast,” said Johnson. The classic race kicked off the day with a bang. For Sanford 8th grader Erika Peterson had “a really good classic race… After the classic race we were all really excited because we weren’t expecting such good results.” The course also played to strength of the South girls. “The hilly course was good for us because we are very physically fit but we are not always the best technique compared to other schools,” said sophomore Izzy Bergman. The skate race presented another challenge for some of the South skiers . However, for South men’s skier Sam Kleven, it did not go as expected. Kleven said, “[I] was gonna make it to state but I had an asthma attack halfway through the skate race.” Izzy Bergman had been struggling with an elbow injury all season. But, during the skate race it flared up from all the use. “My elbow was sore for my skate race so I ended up only skiing my skate race with one pole. My legs were very tired but I held my spot for the entire race,” she said. With one skier finishing the race with a one pole, South was able to edge out 13 other teams for the 2nd place team and an invite to state. For State goals, most were hoping to have a good time. They have “a really good group dynamic on the team and everyone gets along… We’re mostly gonna have fun because there’s a lot really big really strong teams,” said Peterson. State provides an opportunity for the team to get stronger and capitalize on their success. “We have a relatively young girls team whose relatively inexperienced and just trying to race well and having their best race is important,” said Johnson. The Women’s Nordic Team placed 16th at State with a total score of 94 points.